Professional football is coming to the Caribbean in the form of the Islands Cup Open, a brand new tournament – coined ‘the biggest football festival in the world’ – which will feature a number of franchise clubs from across the region. The tournament was officially launched at a press conference at the Usain Bolt Sports Complex in Barbados last Friday. A variety of iconic names are tipped to take part in the Islands Cup Open in both playing and coaching capacities. 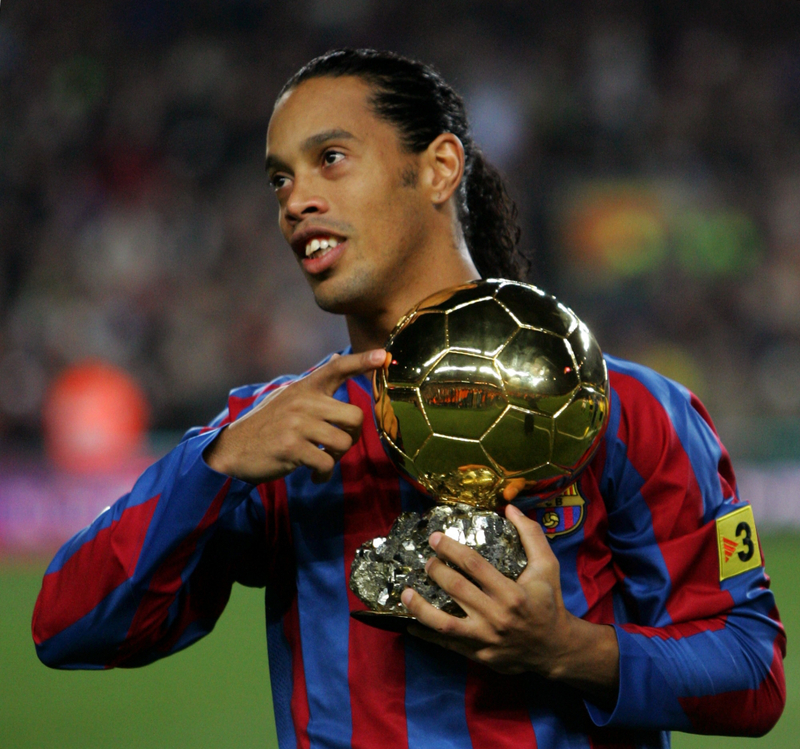 Clarence Seedorf, John Barnes, Russell Latapy and Everald Cummings are just several names to be involved on the management front, while the likes of Ronaldinho, Rivaldo and Florent Malouda are expected to play in the tournament. Rivaldo will not only play but also act as an assistant coach, too. They will be classed as ‘Marquee Managers/Players’. The tournament is the brainchild of Trinbagonian businessman and former footballer, Chris Anderson, who is the CEO of Caribbean Football Trust Limited (CFTL) – a Barbados registered company with offices in Orlando, Florida and Toronto. Indeed, a project of this nature has been in the pipeline for some time with Anderson and his colleagues at CFTL now fully ready to ignite the flame. The inaugural season will be strictly promotional and used to generate interest and momentum moving forward. It’s set to take place this summer from 6-16 July at the national stadiums of Dominica, Suriname, St Lucia and St Vincent & the Grenadines respectively. The five franchise clubs that are going to be competing in the inaugural season are: Combine Islands, Trinbago Oilers, Barbados Challengers, Suriname Gladiators and Jamaica Ruffnecks. The first competitive season will kick off in June 2018 and last for three months, featuring eight franchises placed in two separate Conferences each split into a group of four. A maximum of twelve franchises will be established within the first three years of the tournament’s existence. All squads will include 50% of domestic players. Anderson believes one of the overarching reasons behind the tournament’s creation is to provide young Caribbean players with professional football opportunities that many currently don’t have. The Islands Cup Open will mirror the single entity concept ownership model used by Major League Soccer in the United States, creating an atmosphere where no team/shareholder investor will compete against each other. The estimated Islands Cup Open annual operational budget shall not exceed $17,000,000 USD per year in the first three years, with an increase from the fourth year, estimated at $25,000,000 USD. The minimum a Caribbean player would play for in this tournament is $3,000 USD per month. Clubs will receive 20% of the players’ remuneration paid directly to the clubs, according to Anderson. The CFTL will embark upon alliance partnership initiatives with Spring Media – an independent broadcast rights agency launched in 2011 – as its contracted media partner, seeking to secure the following networks in a free-to-air agreement (only for the first three seasons of the tournament): beIN Sport, Fox Sports, ESPN, Sky Sports, TEN Sports, Gol TV, Digicel Sports Max and Flow Sports. According to CTFL, the objective will be to secure all production cost and a free-to-air licensing annual fee. The plan is for CTFL to create its own TV broadcasting network via a major cable network after the first two years of the Islands Cup Open, to be called Islands Cup Open TV. If, and admittedly this is a significant if, the project can take off on a footballing and commercial level, then the future effects on the growth of the Caribbean game could be monumental. Certainly, these seem to be exciting times for football in the Caribbean. For plenty more information on CTFL’s plans for the Islands Cup Open, simply click on the hyperlink below which will lead you to an extensive PDF document. Thank you for reading! Feel free to leave any constructive feedback in the comments box below. I should have more content related to this topic coming out soon. You can get in touch with me on Twitter, Facebook and Instagram.